Improvements in cutter size and geometry, as well as in cutting speed and duty cycle, will help surgeons operate more safely and efficiently. With the evolution of vitrectomy technology in the past 40 years, we have seen dramatic changes from the days of 17-gauge instruments cutting at less than 300 cuts per minute (cpm) to today, where we are on the precipice of widespread availability of 27-gauge instrumentation with effective cutting speeds that approach 16 000 cpm. The technology retina surgeons use regularly in the OR has changed dramatically since the advent of vitreous surgery, but the principles of vitrectomy have not: We have to cut vitreous, we have to aspirate it from the eye, we have to infuse something into the eye while doing it, and we have to illuminate the eye to see it. Although the evolution of surgical technology has undoubtedly improved efficiency and, more important, safety, it has come at a price, literally: The worldwide retina technology market is estimated to be about $1.7 billion this year, and that is expected to grow to roughly $2.5 billion in 5 years. This raises the question of just how feasible it is that continued technologic improvements will be paid for. Industry continues to innovate in ways that improve upon many facets of vitreous cutter technology, whether that is the speed with which we can cut, the port geometry or number of port opening of the cutter, the duty cycle, or otherwise, but the reality is that cost will be an omnipresent consideration in new technology development. 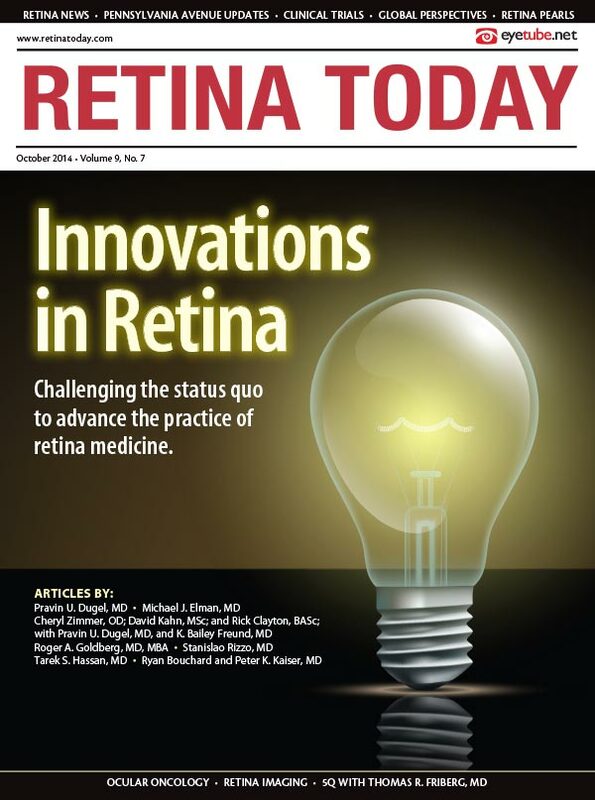 Retina surgeons will still need to cut, aspirate, infuse, and illuminate, but will also need to do so in a cost-efficient manner. And so, another area of continued vitreous cutter evolution is likely to be the development of an expanding array of options that could allow surgeons to match the technology they use to the disease state they are treating and, perhaps, even match the surgical venue to the disease state. This article reviews some of the emerging trends in vitreous cutter development that contribute to our ever-growing choice of surgical instrumentation. We have seen dramatic technologic advancement in the available equipment, but now we are also beginning to see the evolution of systems that will allow more economical delivery of retinal surgery—something that will be necessary for us to sustain and extend the reach of our services to communities around the world, including underserved and expanding populations. Several elements of the vitreous cutter can be altered to affect performance, including the cutter’s size and geometry, as well as its cutting speed and duty cycle. The most noticeable evolution in vitreous cutters is the overall reduction in their size, from the days when 17-gauge cutters were the norm to today when 27-gauge cutters will likely become the standard of care size for a variety of surgical cases. Several manufacturers (eg, Alcon, DORC, and Synergetics) are working on, or have released, technology that is small, high-flow, fast-cutting, and stiff enough to use in diabetic surgery, macular surgery, retinal detachment, and other procedures that require fine dissection of membranes in a tractionless environment. Yusuke Oshima, MD, 1 of the innovators of 27-gauge technology, has presented and published on the advantages of smaller gauge surgery, and has even stated that he uses it in most of his cases nearly independent of indication.1 With decreasing size there is a tradeoff in instrument stiffness. I have had some limited experience using the 27-gauge module from Alcon, and, in my hands, I have found it stiff enough to perform delicate work in the peripheral retina. There are also ongoing refinements in probe technology and other instrumentation from all the manufacturers that will undoubtedly enhance stiffness and safety and, as a result, expand the indications for 27-gauge vitrectomy. A cutter’s port shape and size can have a tremendous impact on its performance. In this regard, there are a number of variables that can be modified, including the port depth, port diameter, distance between the port and tip, external probe diameter, and internal probe diameter. Using particle image velocimetry, Rossi showed that cutters with a circular opening or slit aperture in the center of the guillotine arm had a significantly more favorable duty cycle and higher flow rates in both balanced saline solution and vitreous substitute compared with standard guillotine cutters, regardless of the aspiration. There was also less fluid acceleration with these newer designs regardless of the fluid viscosity and pump technology used.2 By further altering cutter port geometry, newer probes that employ 2 cutter openings in the guillotine shaft (eg, DORC, Geuder) are able to perform a cut on both the up and down strokes of the instrument. This effectively doubles the cutting speed while improving both flow and duty cycle. The original vitreous cutters performed at less than 300 cpm, which understandably led to significant traction on the retina while large “pieces” of vitreous were cut with each stroke. As a result, the complication rates associated with these early devices were much higher than is seen today. Modern vitreous cutters are capable of achieving significantly higher cut rates of 7500 to 8000 cpm using spring-driven mechanisms or dual pneumatic pumps that independently control the opening and closing of the cutter ports. Although there are other elements at play during vitrectomy surgery (ie, duty cycle), faster cutting speed generally leads to more efficient surgery as the vitreous is being cut into smaller pieces and thus the flow is improved. Further, faster cutters result in safer vitrectomy because of the reduced traction on the retina. We may not yet be at the limit of cutting speed capabilities. Bausch + Lomb has a prototype cutter that uses ultrasound to cut at speeds that are effectively greater than 1 million cpm. With this device, vitreous is virtually erased as soon as the probe touches it. This product is currently in early stage development. Another element in the performance of vitreous cutters is duty cycle, the percentage of time the cutter port remains open during a complete opening and closing surgical cutting maneuver with a guillotine. Some modern devices are capable of reaching close to a 100% duty cycle, and control of a variable duty cycle is a newer option that allows the surgeon to choose closed bias, mid range, and open bias functionality. DORC and Geuder have each developed cutters that perform a cut on both the up and down stroke of the device, effectively doubling the cut speed. For the Geuder probe, this means that an effective cut speed of about 12 000 cpm is achieved, while the DORC device cuts at around 16 000 cpm. This concept of 2 open cutting ports that double the cut rate was patented by Hayafuji in 1992 but not incorporated into functional vitrectomy devices until recently. Current studies suggest that the DORC cutter can achieve 3 times the aspiration at 92% duty cycle, independent of cutting speed, when compared to a standard guillotine cutter, and thereby essentially eliminate surge turbulence at the aspiration port because of its nearly constantly open position. We are fortunate this concept has finally come to reality because this technology will further reduce vitreous traction and improve the safety of surgery. The most current interation is the Retrector (Insight Instruments), which features a retractable 23-gauge retractable needle and a device that cuts at 1270 cpm. It has separated aspiration and infusion functions, but aspiration still depends on an assistant pulling on a syringe. Studies have shown that independent of operator force, the maximum manual pulling force for aspiration with the Retrector is 150 mm Hg, which is less than what is achieved with larger, console-based devices.4 Moreover, the flow while cutting at 600 to 1200 cpm is comparable to that seen with smallgauge cutters operating on larger console systems. Synergetics has a portable machine called the Versavit 2, which achieves about 6000 cpm and can be used with 20-, 23-, 25-, and 27-gauge instrumentation. It has 3 duty control options controlled by the footpedal (biased open, biased neutral, biased closed) and flow control independent of vacuum. Most important, the device costs 50% to 80% that of a full-sized machine, and the surgical packs are about 20% the cost of those used with larger console systems. Portable vitrectors are not meant to replace current surgical technologies, but rather to function as a complement to more advanced systems for use in less complex procedures. These devices appear to work best in surgeries for endophthalmitis, vitreous hemorrhage, uveitis, in conjunction with pneumatic retinopexy, and dense vitreous debris, and in procedures in which the primary surgical aim is to clear the media. What is the value of a device that has a limited indication for use? First, these systems are much less expensive than the larger console systems and may be used in ORs when complex functionality may not be needed. Second, it is possible that some of these media-clearing procedures could be performed in an office setting under sterile conditions, following a concept first introduced in the literature more than a decade ago.5 If enzymatic vitreolysis can be increasingly developed, there is a potential to expand the indications for portable vitrectors further. More important than the ability to change surgical venues, however, will be the impact these kinds of devices may have on the cost of surgery. It may simply be unnecessary to have the latest bells and whistles to perform certain procedures when a low-cost and equally safe and effective alternative is available. The evolution of vitreous cutters has been influenced by several factors, and retina surgeons are witnessing a massive improvement in vitrectomy probe development. These advances will undoubtedly make surgery safer for patients and more efficient to perform for surgeons. Yet it is the expanding array of options and the potential to match the surgical devices we use to our surgical indications—thereby individualizing our approach to surgery—that may have the greatest impact. Our ability to be cost-conscious while still safely and effectively managing our patients will ensure the viability of our profession in the decades to come. Tarek S. Hassan, MD, is a partner with Associated Retinal Consultants, PC, and a professor of ophthalmology at Oakland University William Beaumont School of Medicine in Royal Oak, Michigan. He is a member of the Retina Today Editorial Board. He is a consultant to DORC, Insight Instruments, and Novartis/Alcon. Dr. Hassan may be reached at tsahassan@yahoo.com. Osawa S, Oshima Y. Innovations in 27-Gauge Vitrectomy for Sutureless Microincision Vitrectomy Surgery. Retina Today. 2014;9(5):42-45. Rossi T, Querzoli G, Angelini G, et al. Introducing new vitreous cutter blade shapes: a fluid dynamics study. Retina. 2014;34(9):1896-1904. Koch FH, Koss MJ. Microincision vitrectomy procedure using Intrector technology. Arch Ophthalmol. 2011;129(12):1599-1604. Pitcher JD 3rd, McCannel CA. Characterization of the fluidic properties of a syringe-based portable vitrectomy device. Retina. 2011;31(9):1759-1764. Hilton GF, Josephberg RG, Halperin LS, et al. Office-based sutureless transconjunctival pars plana vitrectomy. Retina. 2002; 22(6):725-732.